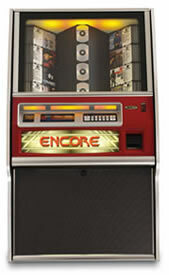 The LaserStar Nostalgia, is carefully crafted with old-fashioned attention to detail at every step. 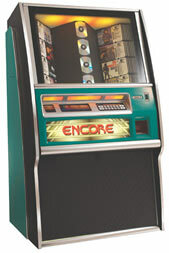 Made with real wood veneer and chrome-plated metal castings, the Nostalgia CD jukebox is Rowe quality inside and out. Who said they don't make them like they used to? 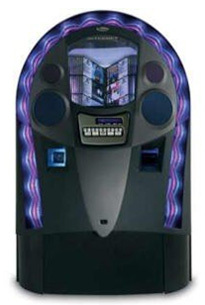 Rowe has won every major award for compact disc jukebox designs given by the American Music Operator's Associated and by Play Meter Magazine for "The Best" "The Most Played," and the "Most Innovative" jukebox. That is 21 out of 21 awards! 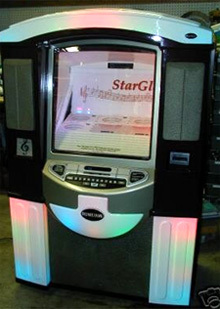 Operator adjustable lighting control board to allow LEDs to flash in patterns including "to the beat of the music"
Total of 50 selections may be "locked out" - Total of 100 selections may be "priorities"
The Encore CD jukebox will keep them coming back again and again with features such as a 16-CD jacket display and user-friendly controls. And it will keep you in control with compatibility for CDG, karaoke, and modem. Adams & Adams sells used CD's. We package a box of used CD's featuring various artists. Everything from Rock to Country! 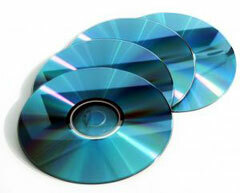 Price: 100 mixed CD's for only $200.00 plus shipping.